If you are searching for a satisfactory service provider who can guide you with the best Node JS development, UAE Technician is your ultimate choice. We understand that your business goals will vary over time. Therefore, our experts deliver accomplished and scalable applications that will fulfill all needs of your business. Why choose Node JS development? It is an open source, event-driven, non-blocking I/O model and also gives the ability to build strong server-side network web applications. Being a widely popular environment to develop next-gen, cross-platform, web and mobile applications, Node JS offers back-end and user-friendly front-end developments. Place a call at our helpline number : 042053349 and interact with the experts at UAE Technician. We offer useful and productive solutions that will add shine to your business. 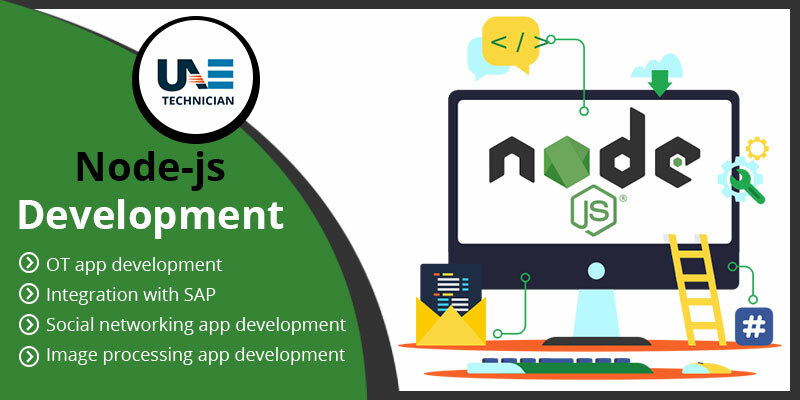 Our well-skilled experts at UAE Technician are always eager to assist you with the most affordable Node JS development service. You can also opt for our online service as well. Reach us soon to experience incredible service.